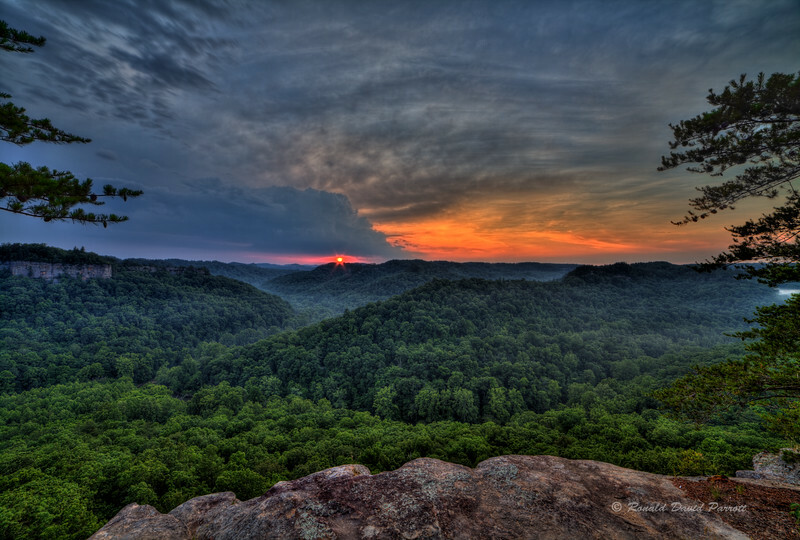 This is the first act of a sunset show at Chimney Top Rock in Red River Gorge. The sky became more colorful later, as can be seen in the next photograph. However, I also like this one because the sun is visible, and the foreground light is good.